Police have not released the name of victim because they wanted to make a positive identification and notify the family in private, but they did release the fact he was an Hispanic male between 20 and 30 years of age. As part of their investigation, officers closed down the entire street and searched for debris from the car. They found a headlight and part of the car’s front grill. They are also checking with all businesses and homeowners in hopes someone had a security camera that captured the incident on a recording, so they will be able to find out whose vehicle was involved in this fatal Massachusetts hit-and-run accident. They are aware the McDonald’s restaurant had several cameras outside the restaurant and are checking to see if they were aimed at the location of the fatal car accident. 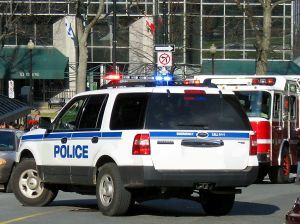 As our Boston car accident attorneys can explain, police investigators will typically post a “be on the lookout” alert, or “BOLO” as it is often called in police terminology, in Massachusetts for any cars with front end damage. They will also check with all local body shops to see if anyone brings in a car with recent front-end damage to see if they can identify the suspect. Many hit-and-run drivers think having the car repaired as quickly as possible is the best way to avoid being caught; but, in reality, that is often the way they end up getting arrested when police receive a tip from an auto body shop. In addition to asking the public for help to see if anyone witnessed the fatal hit-and-run accident, police are also suggesting the suspect hire an attorney and turn him or herself in to the Springfield Police Department immediately.